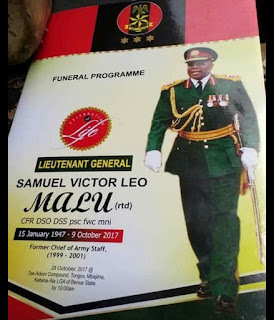 Benue State Governor, Samuel Ortom, has said he would consult with the State House of Assembly on how best to immortalise the late General Samuel Victor Leo Malu, former Chief of Army Staff. He spoke at the funeral of the deceased at Tse Adoor in Katsina-Ala local government area. The Governor described the late General Malu as a great son of the state who added value and brought outstanding professionalism to bear on military service in the country and made the people proud. Governor Ortom said even in his death General Malu has attracted the electrification of several communities and his village adding that more of such will be brought to the area. He solicited support from the Army and other security agencies in the implementation of the Anti-open Grazing Law with effect from first November, 2017. Governor Ortom stated that with the support of the agencies the state was confident of containing and overcoming the threats from some herdsmen to subvert the law. 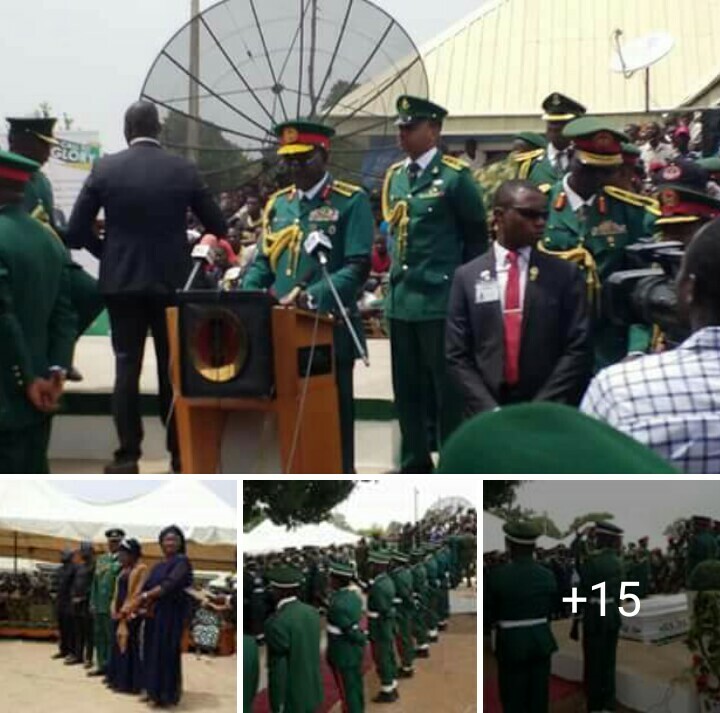 In separate orations spokesmen for Katsina-Ala old boys association, Mr Emmanuel Atini, Vice President of the Association, and General Chris Garuba for Course Three of the Nigeria Defence Academy, all extolled the leadership qualities of the deceased saying he served his country meritoriusly. Tor Tiv the fifth, Professor James Ayatse, represented by Tor Sankera, Chief Abu King Shuluwa, urged the Federal Government and the Army to compensate communities as well as the Adoor family destroyed during the 2001 invasion. Chief of Army Staff, Lt General Tukur Buratai stated that the Army had lost one of its most valiant officers who served his country with distinction.